You are here: Home / Get to Work in a Job in Spain in 2019 – The Honest Truth About Working in Spain… / Lanzarote Jobs – Want to Find Work in Lanzarote, Canary Islands, Spain? Lanzarote Jobs – Want to Find Work in Lanzarote, Canary Islands, Spain? Despite only being the fourth largest Canary Island we highly recommend it when searching for jobs if you are an English-speaking person. Lanzarote is an extremely popular tourist destination and has plenty of opportunities for work especially if you are looking at the summer season. Lanzarote’s location which is just 140km off the coast of Africa gives it a great all year climate and has led to the unique volcanic terrain. Although quite a windy island – which makes it ideal for windsurfers – we cannot understand the nickname for Lanzarote which is Lanzagrotty! Timanfaya National Park is the most famous visitor excursion with trips up through the volcanoes and views across Lanzarote. You will also at some point come across the unusual sculptures and monuments created by the artist Cesar Manrique. The most easterly Canary Island with a total surface area of 845.93 km and a population of 135,000 people. From Lanzarote you can see the neighbouring Canary Island of Fuerteventura. If you are set on working anywhere in the Canaries we would suggest you start your search first of all in Tenerife, then Lanzarote and if that fails then look at Gran Canaria which has good possibilities especially in Playa del Ingles. Is It Hard To Find Work in Lanzarote? Currently it is difficult to find work anywhere in Spain but of course there are always opportunities and vacancies if you’re prepared to look hard enough. We just want to make you aware of the fact that if you arrive on the island with little savings you may rapidly run out of money before you find work. One of the difficulties in working in Lanzarote is finding cheap accommodation in the summer. Renting a one-bedroom apartment in Lanzarote will generally cost approximately €500 a month without bills. Try sharing an apartment with other job seekers and sharing the cost. You should be especially careful if you are thinking about moving to Lanzarote with a young family and escaping from the United Kingdom. It’s a dream that has gone sour for many British people who have now returned to the UK. Do you Need a Visa to Work in Lanzarote? Not if you are a EU citizen as you automatically have the right to seek work in Lanzarote. In order to work legally you need to apply for a NIF number (Numero de Identificacion Fiscal). If you are from countries such as the USA, Canada or Australia you will need to apply for a three-month visa. Your NIF number (also referred to as NIE) is essentially a tax identification number similar to your National Insurance number in the UK. Most people looking at summer jobs in Lanzarote will be students looking for seasonal work. Lanzarote is one of the most popular tourist destinations in Europe and the sudden demand for services in bars and restaurants results in a huge demand for temporary short-term staff. Employers take advantage of this demand by paying very low wages and as soon as the tourist season drops off you will be instantly out of the job. In being located so far south of Spain, Lanzarote does have an advantage of a longer season than most other Spanish resorts such as Ibiza, Marbella, Malaga and Mallorca. Work in bars such as doormen, bartenders and barmaids, bouncers and security staff, as dancers, entertainers and animators, DJ’s, promotional reps (PR reps) to get people into the bars and clubs, beach bars, in restaurants working as waiters and waitresses or dishwashers and chefs, in hotels working on reception or as holiday reps looking after the customers of the major tour operators running package holidays to Lanzarote. You will also find some watersport jobs on the beaches if you are able to teach wind surfing and sailing. Some of the dive centres may require instructors if you are a qualified scuba diver. There are also companies hiring out jet skis. With the huge influx of tourists especially in the summertime there are plenty of temporary seasonal jobs in Lanzarote. Unfortunately the pay and working conditions will be extremely poor but you sacrifice this to be living in a tourist resort at the peak of the season. It can extremely hard work but great fun too! Most bar jobs will be in the two major resorts of Puerto del Carmen and Costa Teguise. In Costa Teguise, Coyote, the Black Bull Pub, Paradise Sports Bar and the Dolphin Pub. In Playa Blanca, Wax, the Irish Anvil, Atlantis and Jungle Bar. In Puerto del Carmen Lineker’s, Spender’s, Sunset Beach, Whale and Ale, Big Apple, Hippodrome, Paradise and Ruta 66. How Much Can I Earn in a Bar Job in Lanzarote? When looking for full-time positions in Lanzarote you want to try to obtain an official contract which clearly sets out your salary and terms of employment. Clearly this is not to be the case when taking a bar job which will be very much a part-time, temporary position and most likely to be paid cash in hand. Although rates vary from bar to bar, the general consensus from the Lanzarote bar staff that we have spoken to, is that the going rate is on average €6.50 an hour. If you are coming from another European country such as the United Kingdom and Germany you should obtain the EHIC card which will prove that you are entitled to emergency medical treatment in Spain. All of these tourist-related jobs such as working in a bar, PR rep, holiday rep, club or restaurant involve very long working hours so most people seeking these positions will be young people in their 20s. The most popular towns in which to find work on Lanzarote are Puerto del Carmen and Costa Teguise. Puerto del Carmen, is the most commercial resort with a two-mile beach which naturally has plenty of bars, pubs, restaurants, shops and nightclubs. This is the best place to find your summer job in Lanzarote. The busiest bars and clubs in Puerto del Carmen are found at the Avenida de las Playas. There is also a lot of bars and restaurants in the picturesque Old Town and the lively Strip (including Centro Atlantico). Puerto del Carmen is located 10 miles west of the island’s capital of Arrecife which also has good opportunities especially if you can speak Spanish. Costa Teguise is family friendly resort which is a haven for windsurfers thanks to the perfect conditions for wind surfers and wonderful beaches. A modern purpose made resort it is situated just north of Arrecife. Arrecife is the capital of Lanzarote and is naturally very Spanish compared to the international tourist resorts. To get work in Arrecife will require Spanish speaking skills. This is the place to find your corporate and office type jobs. Playa Blanca is fast-growing and is the newest resort on Lanzarote. Try looking for work at the Rubicon Marina. The Papagayo beaches are rated as some of the best beaches in Spain. Other resorts in which you could look for work would be Playa de los Pocillos, El Golfo, Matagorda and Playa Honda. Lanzarote jobs can be found by the usual means of internet websites and forums like Lanzarote.com and Discover Lanzarote, radio, word of mouth and the classified section in local newspapers such as The Gazette. Try also a monthly magazine called Estohay which is in Spanish – look under the section for classified jobs which is the ‘Bolsa de Trabajo’ section. In all honesty you really need to be on the island in person because most jobs are obtained by word-of-mouth. Just going into local companies and asking if they have any vacancies will eventually lead to an opportunity to get work. Even posting your jobs wanted on notice boards could pay off. It does in most cases come down to who you know, not what you know. As well is the images of Lanzarote that we should feature above who wanted to show your video so you can truly see just how wonderful and pretty the island is. Not everybody wants to work in a bar or restaurant. With a healthy resident expat population residing in Lanzarote there are definite opportunities if you have skills in the building and construction industry. In reality you are extremely unlikely to find a job advertised, but your skills can be utilised by setting up your own business and becoming self-employed, providing your services on the island. If you are a builder, electrician, plumber, tiler, bricklayer, labourer or painter then you have an opportunity to start your own business in Lanzarote. You can set up a company (S.A) or go self-employed as an autonomo. You must pay into the Spanish social security system which then gives you access to the free state health care and schooling system. Monthly payments for a family of four would be about €250 so it is quite a major step as you have to pay this whether you make any profits or not. You also would have to register for the equivalent of VAT in the UK which in Spain is known is IVA. As a foreigner looking to work in Spain you will need to get what is known as a NIE number. Go to the nearest social security office with your original passport and copy. Fill in a form providing basic information such as name, address, nationality etc. They issue the NIE number there and then and give you a temporary card. If you have an interest in teaching jobs in Spain then Lanzarote certainly is a place to look. Many Spanish people naturally want their children to speak English which gives them far greater work opportunities, especially if they want to leave the island and travel. Of course competition from other English-speaking people is extremely high so it would help if you have professional qualifications such as TEFL (Teaching English as a Foreign Language) or ESL which would at least give you the opportunity to work for one of the Spanish language schools on the island. This vocation is likely to just be a part-time income stream for you which will need to be supplemented with other part-time jobs as it is unlikely you can survive full-time by teaching English in Lanzarote. In this section we give you a list of jobs that we know expats have worked as on Lanzarote. The key to successfully relocating and moving to Lanzarote is to not have any preconceptions about the sort of work and jobs you would like to get. You may be qualified in certain areas and while you would ideally wish to find the same type of jobs that you have done previously, this is not always possible. 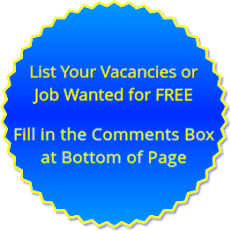 Chef – waiter – waitress – sales – estate agent – personal trainer – gym – beautician – dentist – doctor – IT – computer programmer – insurance sales – customer service – admin – carer – secretarial – golf pro – office – cleaner – swimming pool maintenance – gardener – bartender – barmaid – hairdresser – retail – drivers – taxi – removals – au pair/nanny/babysitter – security – bouncer – door supervisor – PR reps – dancer – entertainer – animator – transfer rep – holiday rep – restaurant. This article has been designed to give you the resources and advice concerning finding work and obtaining a job on the Spanish Canary Island of Lanzarote. Are you an employer on the island looking for staff and employees in Lanzarote? List your vacancy below in the comment section. For a full index of pages see our searching for Spanish jobs section. My name is Tessa and I’m looking for a job as hotel/resort representative or groundstaff at the airport. My name’s Debbie and i am looking to move to Lanzarote on my own. I am a nurse and have worked in health care for over 25yrs. I would be greatful to hear about any job vacancies please. Looking for an experienced cook. Must be able to work on their own, and part of a team. 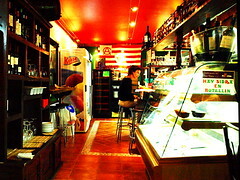 Working evenings from 16.00 until 21.30. Contract and good rate of pay given. Email for more information. I am looking for a job,like a life guard in swimming pool or on the beach. Hi ,am moving to Lanzarote in January 2019 and am actively seeking employment there , will consider anything , would ideally like a driving job , delivery s etc , have 25 years long distance hgv experience but anything considered , thank you . Hi I am currently working for one of Scotlands leading care providers as an autism practitioner and I was wondering if there were any vacancies in Lanzarote that would be applicable to myself. I would of course be happy to supply references, i am SSSC registered and I have completed my SVQ level 3. Hi how to I apply for a NIE in Lanzarote ?